Featuring our Pan Seared Salmon with Pineapple Salsa! 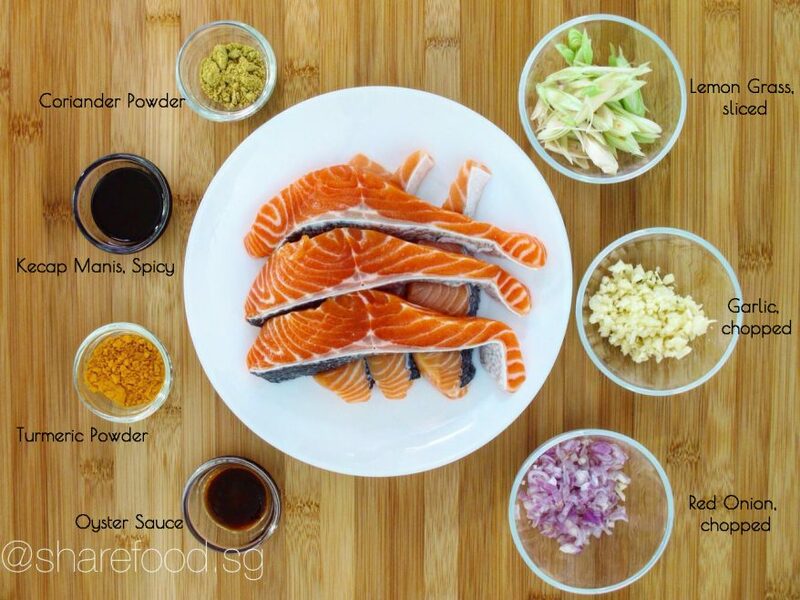 For those who does not like the strong fishy taste of Salmon, this is a must-try recipe! Created by Chef Eric Neo, one of the top celebrity chefs in Singapore, cooked this dish at CorningWare's Retroflam launch event. We are honored to receive the recipe and we just can't wait to share it with you! This beautifully-yummylicious dish is a perfect infusion of east meets west. Norwegian Salmon infused with the fragrance of Asian spices reduces the fishy taste and boost the overall nutritional value. Serving it with the sweet and tangy pineapple Italian salsa brings your sensory satisfaction to a whole new level! 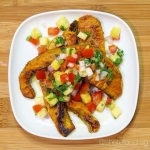 This dish is very simple to prepare and cook. Don't believe us? Watch our video! PS: This is our first cooking demonstration video. We hope you will like it! And yes, we will make it better. 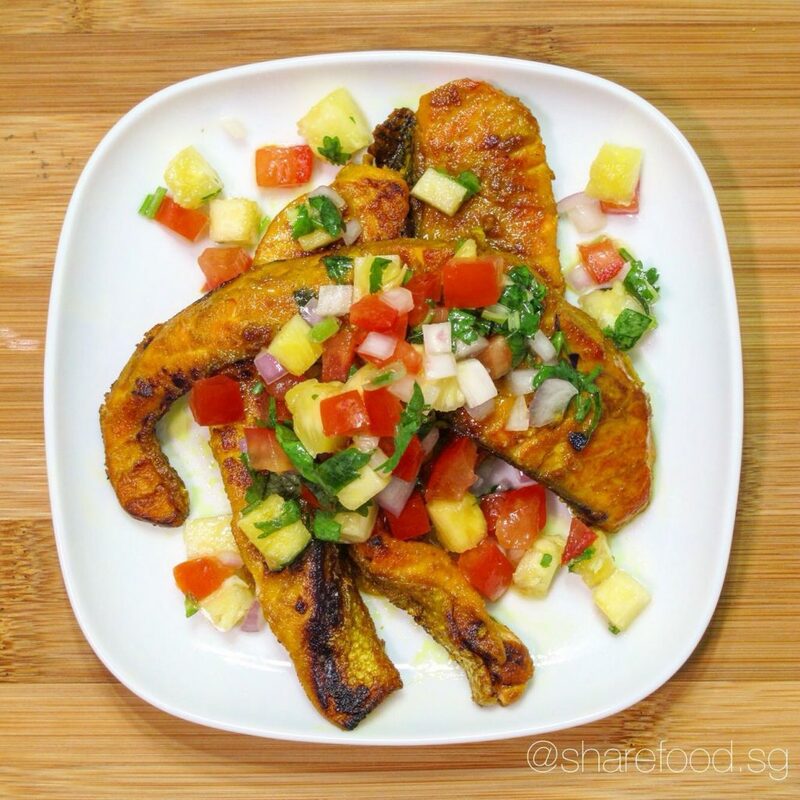 Here's our Pan Seared Salmon with Pineapple Salsa recipe. Leave a comment if you have made this and share with us your experience! This beautifully-yummylicious dish is a perfect infusion of east meets west. Norwegian Salmon infused with the fragrance of Asian spices reduces the fishy taste and boost the overall nutritional value. 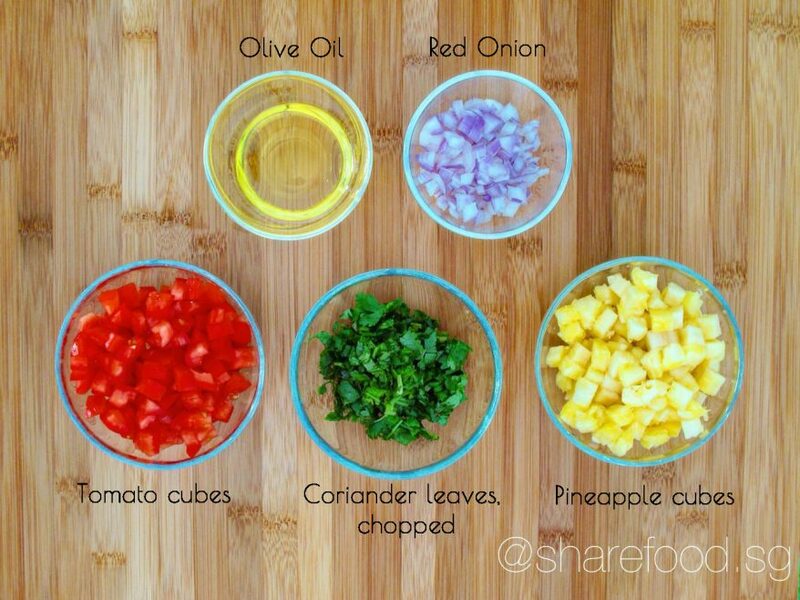 Serving it with the sweet and tangy pineapple Italian salsa brings your sensory satisfaction to a whole new level!